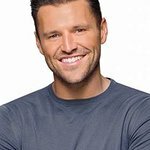 Mark Wright, TV and radio presenter, shared his excitement on social media today at being picked for Robbie’s England, for the second consecutive time, in this year’s Soccer Aid for UNICEF match on ITV. Following an all-star, man of the match performance at Old Trafford in 2016, where he wowed the crowds with a wonder free-kick and match-winning goal for England, Mark has delightedly announced on his social media channels that he will be back wearing the home team strip, and this time will be taking on Usain Bolt's Soccer Aid World XI at the Theatre of Dreams on Sunday 10th June. Today the British Government also announced it will match all the donations made by the public to Soccer for Unicef pound for pound. This means that for every £1 donated, the UK Government will also donate £1, doubling the difference for children in danger all around the world. Over the coming weeks, the England vs. Soccer Aid World XI rivalry is set to intensify, with some of football’s biggest legends and celebrities set to join Mark Wright and fellow A-listers Usain Bolt, Sir Mo Farah, Robbie Williams, Olly Murs, Gordon Ramsay, Brendan Cole, Joe Wicks, Clarence Seedorf, and Robert Pirès, in what is setting up to be a game like no other. Soccer Aid for Unicef is the original England vs. Soccer Aid World XI charity match. It was launched and co-founded in 2006 by Unicef UK Ambassador Robbie Williams and Jonathan Wilkes, and has previously featured A-list stars such as Will Ferrell, Woody Harrelson, Mike Myers and Niall Horan, plus footballing royalty including Diego Maradona, Zinedine Zidane, Luis Figo and Ronaldinho. Soccer Aid for Unicef 2018 is set to be bigger and better than ever. 100% of all public donations to Soccer Aid for Unicef will be doubled by the UK Government, up to a total of £5 million, and go towards supporting the vital work protecting children around the world. So far £24 million has already been raised through Soccer Aid over the last 12 years.